So my blog says that I am escaping the cult of Christian Fundamentalism…and I just left orthodox Lutheranism…so why am I putting up a post endorsing orthodox (fundamentalist) Lutheranism?? 1. Orthodox Lutherans are for the most part very warm, kind, generous, non-judgmental people. 2. Orthodox Lutherans love drinking beer, dancing, going to movies; they have no prohibitions on smoking a stogie, playing cards, mixed swimming, and do not have dress codes for women in their churches, as do many other fundamentalist Christian denominations. Orthodox Lutherans are fun people. 3. Orthodox Lutherans do not use a hard-sell when sharing their faith. You won’t see them standing on the street corner yelling at sinners that they will burn in hell. 4. In fact, orthodox Lutherans rarely ever talk about Hell. I have never heard a sermon on Hell in an LCMS church, nor in an LCMS catechism class, nor any other discussion in an LCMS church. Even online, when orthodox Lutherans discuss hell, it is usually referred to as just an eternal separation from God; it involves mental suffering, probably not physical suffering, and very probably not burning. So why would I want to separate from a bunch of kind, generous, fun, beer drinking orthodox Lutheran Christians? Answer: Because I’ve never been good at being a phony. I don’t believe any of the doctrines or beliefs of orthodox Christianity anymore. I believe that Jesus lived and died and was a good man…but that’s it. And, my second reason is: I don’t want my children being taught that the majority of the world is going to suffer for eternity in hell…or that even one person is going to suffer for eternity in hell. And, it doesn’t matter if it is only “mental” suffering. It is still an evil, sadistic belief, whether believed and preached by obnoxious Westboro Baptist-style evangelicals, or by beer drinking, fun-loving, friendly orthodox Lutherans. Previous postWhy do Mormons and fundamentalist Christians use the same justifications for their Faith? Gary, I am thankful for your kind and loving heart as well. 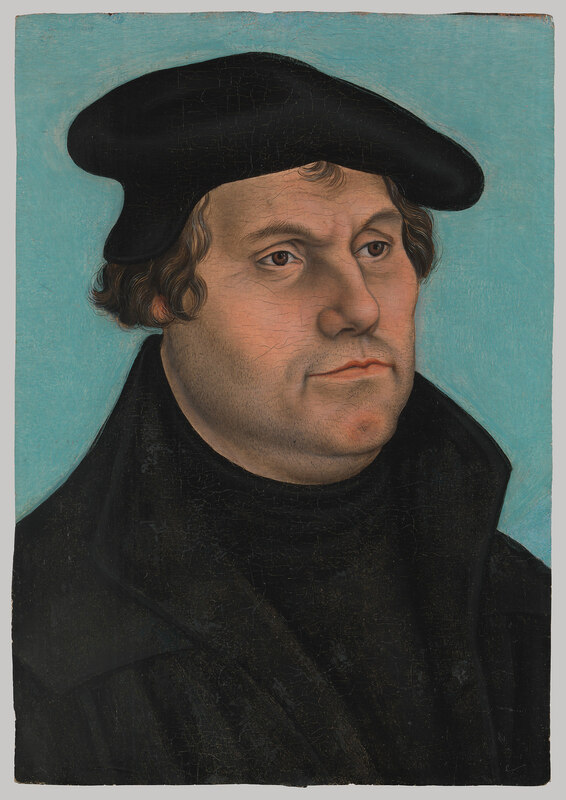 By posting Luther's picture, it looks like you are saying we follow the man Luther. We don't. Luther did not establish a church. He is not the head of our church. We use some of his writings but that's it. We did not choose the name “Lutheran” — someone else put that name on us. Our church follows Christ Alone. What we believe — core doctrine — is spelled out in the Confessions, the Book of Concord. Well if one of your big points is hell… Seventh Day Adventists don't believe there is a hell, and instead believe that everyone's punishment is finite. However, if you're looking for drinking, smoking, and working between sundown Friday and sundown Saturday, then it might not work out for you. Yea, I'd still have to pick the fundamentalist Lutherans. They may believe in hell (for others) but they are fun to hang out with. Lutherans don't worry about hell for themselves. They do not believe that works play any role in salvation. It is only if someone blatantly rejects Jesus like I have done, that they will tell you that you are going to hell. I'm so going to miss the good German beer at this year's church Oktoberfest! So glad I stumbled on this. I stopped going to my LCMS church 2 years ago. I just had an elder and old friend visit me the other week concerned for my soul and I had to explain that the people at church were wonderful but that I did not believe. The spell had most certainly been broken. He encouraged me to attend anyway just in case it’s all true! I will be visiting your blog as I live in a small town and don’t even know of any other atheists. Imagine being in our situation (losing our faith due to the evidence) and not having the Internet. We would be alone, easy prey to clever preachers and priests who would sternly remind us that “two billion people in the world believe this is true, what’s wrong with you?”, and, that Hell awaits us. Welcome to the world of reason and non-supernaturalism, my friend!